1997. Portland State University. Think about it–this mapping process is actually harder than it looks. The entire surface is tilted so the river surface is a zero elevation plane, upon which neighboring topography is placed back onto that river or creek; then it is tested for flooding due to changes in water depth. Elevations above closest river surface are calculated, not above sealevel, which all DEMS are based upon The highest risk areas are red. Many thanks to Prof. Joe Poracsky for assisting me through this process. The mapping of data was fairly new to academia. There were ArcInfo (mostly vector), ArcView (vector) and Idrisi (raster/remote sensing) serving as the common PC mapping tools. MapInfo, the leader a years before due to its lower cost, was now lessening in popularity due to interest in spatial statistics modeling. 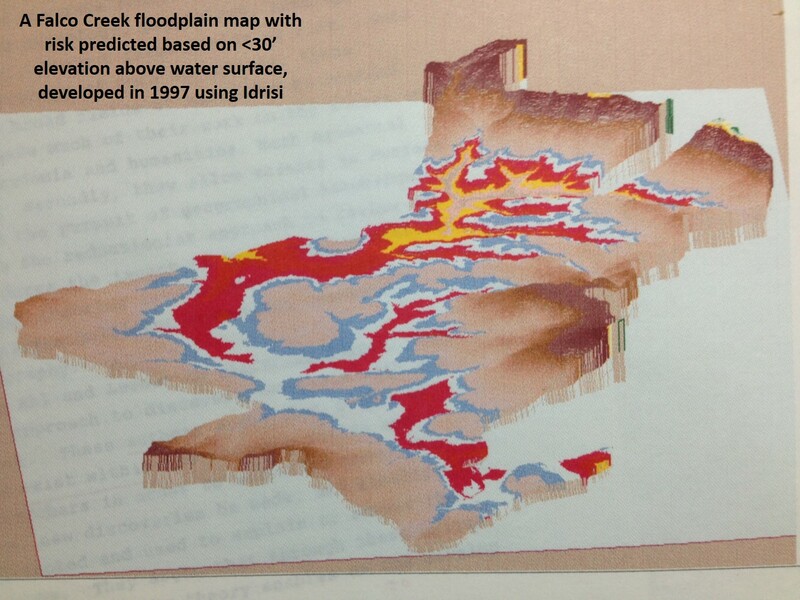 My interest at the time was in trying to develop a way to map a river along its floodplain and define the area where flooding happens due to a specific rise in water levels. At first this sounds simple–take a map of the area of research, a matching DEM, and then map the areas based on elevation data. The problem with this thinking is that all elevations are based on the ocean’s surface, not an every changing river surface. I wanted to know the elevation of areas above the closest water surface, and since a river flows downhill, the problem was having to recalculate the land mass height relative to river water height with a constant value of 0. Like land, this surface elevation of river water changes as you got closer to the ocean. So you can get onto a river that is 1500 feet above sea level in an area of high risk for cholera because of the sunny karst-derived flood plain topography and when you are done canoeing you dismembark at an elevation just 1200 feet above sea level in an area of low risk due to lack of alkalinity of the soil and the combined gneiss-schist, northwest aspect, and steep slopes topography. The research question was–where are the regions with highly alkaline soils placed less than a given number of feet above a given river surface? So the river surface elevation had to be recalculated every certain number of feet for the river’s length, and the neighboring land mass also recalculated in terms of its height above the sea level, readjusted to actually be for river level. So the next questions was at what resolution is this change in z-axis of river surface elevation above sea level made? Every 50 feet, every 100 feet? That depended upon the resolution of the lateral x and y axes calculations. I decided I wanted to evaluate water rise in 5 or 10 foot increments. With 30 feet above river level decided upon, one next has to ask–if you want to know where the land is that is within 30 feet of the river level at one point, you have to calculate this for that specific section of the river being evaluated, and then move on to the next section of the river so many feet downstream, and because that new section is now closer to the ocean’s surface, recalculated that section of land closest to this point that is 30 feet above that edge of the river. This process has to be carried out an infinite number of times (in theory, but I rasterized this data at 50 feet lateral distance changes) along the length of the river to be perfect. I then developed a series of algorithms designed to rasterize the river edge and relate the surface elevation at that raster’s centroid to real land adjacent to it, also corrected for that ever-changing land surface elevation above sea level problem. All elevations on the new elevation map were elevation above the closest river edge, a changing value across the entire map. Testing these algorithms took several months, produced dozens of maps, and interesting results. Since a 30′ rise was barely discernible on the images for presentation, a “Noah’s Flood hypothesis” was pursued and 150 rise was demonstrated. The following images depict a DEM-derived 3D surface, soil classification including slope data, risk defined based upon soil alkalinity (this was part of my Cholera work), and several renderings of risk based on the new elevations (above local water surface, not sea level). For these presentations, the entire image is tilted to avoid the problem of relating water surfaces and risk areas to the ocean surface (“above sea level” elevation values). I produced the first versions of my chart depicting the evolution of natural products as a student/lecturer in the Chemistry department at Portland State University. I began by drawing up a flowchart for benzylisioquinoline alkaloids in the winter of 1987/8. I based this evolution sequence on the various flowcharts out there for other plant groups (tannins, quinines, terpenes, specific flavonoids, and specific alkaloid groups); these all demonstrated there to be several basic rules for chemical evolution. One of these rules was that compounds evolved sequentially by increasing size, increasing numbers of rings, developing side groups, developing new rings from these side groups on the original rings, etc. Applying this to BIQ distribution, I produced a 3 subclass flow chart for the BIQs. The professor who operated the lab I was in graciously gave me full access to it for my BIQ, coumarins and evolution of cancer drugs work (Al Levinson). He asked for this mapping of chemical to be expanded to his area of specialty–terpenoids. So I developed the same for such a use, adding sterols and iridoids to the logic being developed for this phytochemical evolution (not exactly the same as a chemotaxonomy theory, but quite similar; the phytochemical evolution theory takes more of the human and animal behavior thinking into account and separates it from environmental theories used to define plant chemicals evolution). Next I reviewed the fatty acids in detail, which I had several key references for, and used this to finalize my rules for chemical class evolution. I then drew up my first complete rendering of the dicots followed monocot trees and then all of the Classes/Subclasses prior to angiosperms over the next 18 months. A structural/chemical evolution sequence was seen to repeat in certain groups, as well as the very different paths with similar end products developed by the pre-Angiosperms, an obvious inference to the Meteor Impact theory of extinction then circulating in the Nature and Science journals. 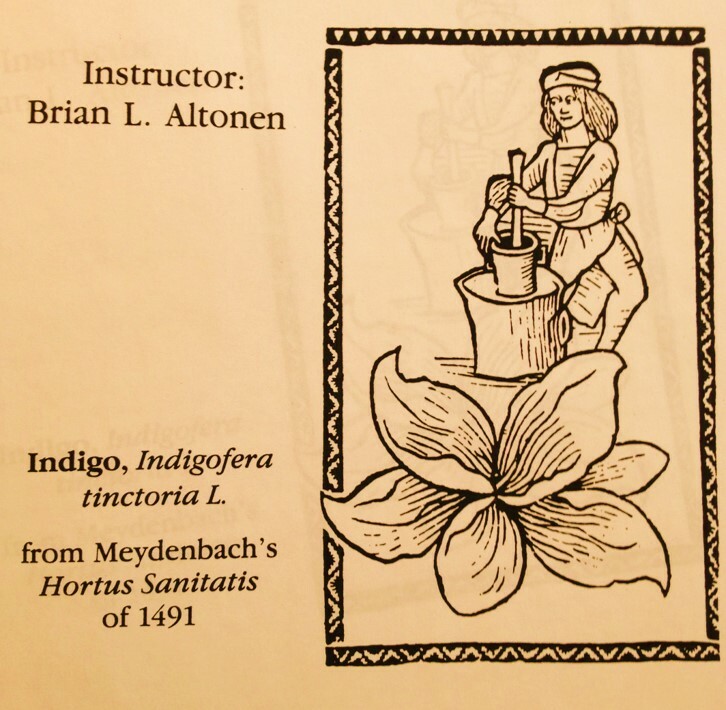 These charts became the focus of all of the phytochemistry courses I taught from 1989 to 1993, and continued to be taught as part of several other courses over the next decade. In 1997, the complex chemicals evolution tree with the names of the genera and chemical groups was converted to mostly symbols and the chemical names and uses removed, as in the following. Examples of the others with chemistry are on another set of pages in the botany/ethnobotany section of this blog. 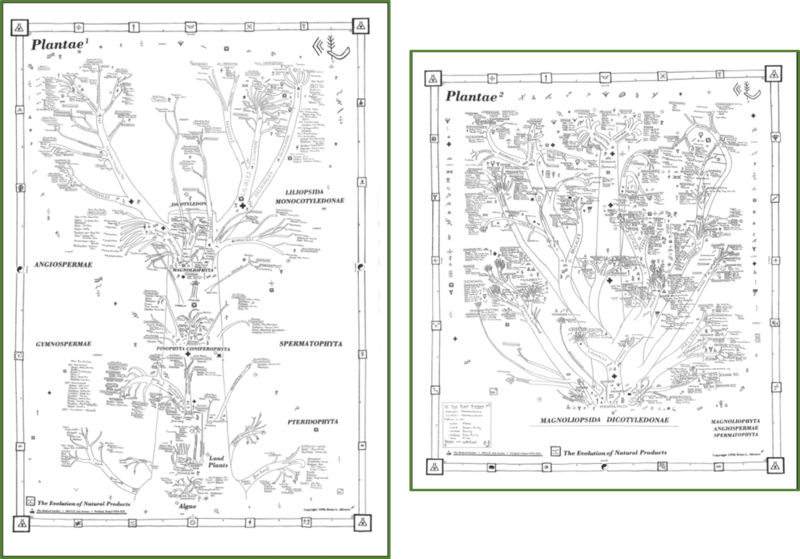 Back in the mid-1990s I began exploring other uses for the chart of plant chemical evolution which I developed. In 1993 I completes my tables of ethnobotany, depicting the uses of plants tabulated by Genus, for all of the species noted in three dictionaries of plant use that I have, along with some summary article published over the years on specific plant families and orders. The purpose here was to see how phytochemical groups relate to plant uses around the world, and how and why these uses evolved for plants, and later for man. 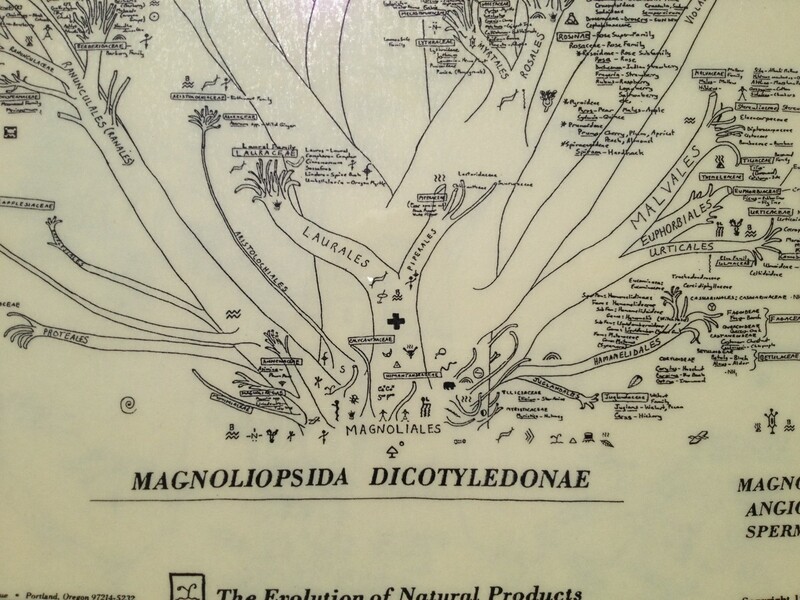 Some of this chemistry was obvious, like the evolution of lignin-cellulose products for protection and survival of the species (wood to prevent grazing and reduce digestibility) or the development of waxes to protect leaf surfaces and reduce dehydration in high temperature/low humidity desert or range settings. Other uses that came to mind when analyzing these features were less predictable but very logical, like the variation in essential oil productivity due to environmental changes (plants produce “heavier” terpenes in warmer climate to reduce rates of metabolite loss due to the evaporation of these protective agents, while still retaining their protective features). As a result of this change in research plans, I reproduced my old evolution chart, using symbols to depict where the “fruits of knowledge” existed so to speak in my plant evolution tree as it related to the ethnobotany of plants. The following are sections pulled from my final products (the Pre-flowering/Monocotyledons and Dicotyledons charts) produced in the winter of 1993/4. As many users of this chart have told me, it is an excellent learning tool for the plant kingdom if you are a chemist or anthropologist. A booklet was developed to explain the symbols. Phytoalkaloid receptors, Na+-K+ channels and Squid Axon Channel behavior (TTX/TEA activities and phytoalkaloid specificity and inhibitory effects). Jakob Schmidt’s research group. Spring 1977 – Fall 1984. Conotoxin activity cardiac cell and neuronal axonal/synaptic reactivity. Jakob Schmidt’s research group. Fall 1978 (irreg.) – 1984. Selective Toxicity of Plant Toxins. Pharmacology Department. 1982-1985. Phytochemistry exploration and research for new Tropical Drugs. Pharmacology Department. 1982-1985. Development of Toxidrom preparatory research as a follow-up to May 2-5, 1981 Emergency Toxicology Conference in NYC. (Initial concept invented by Howard Mofenson). 1982-1993 (to present). Medical Botanist and Historian at Herbarium, MOLINS, SUSB, NY, 1979-1985. TOXIDROM. Development of diagnostic database using Wordstar/Datastar, on a 1982 Sanyo MBC, 2+2 kb harddrive. 1982-1985. IBIS. Design, development and implementation of database on alternative medicines. 1989-1990. IBIS name trademarked in 1991 by MB Stargrove, AMRTA, Portland OR. Updates of database and software continued through DOS, Windows 3.1, 95, 98, 2000, 2003, to current MAC and IBM versions of IBIS. Sold to various companies, marketed by same name and anagrams, ca. 1996. Bought back by initiator, MB Stargrove; still in use and distributed, via the web. Guest Lecturer. “The Bioengineering Potentials of Pacific Northwest Natural Products.” Part of Wednesday Geography Department guest lecturer series, Portland State University, Portland OR. February 1987. First presentation of the potential of developing a taxol industry based on Pacific Northwest Yew trees. 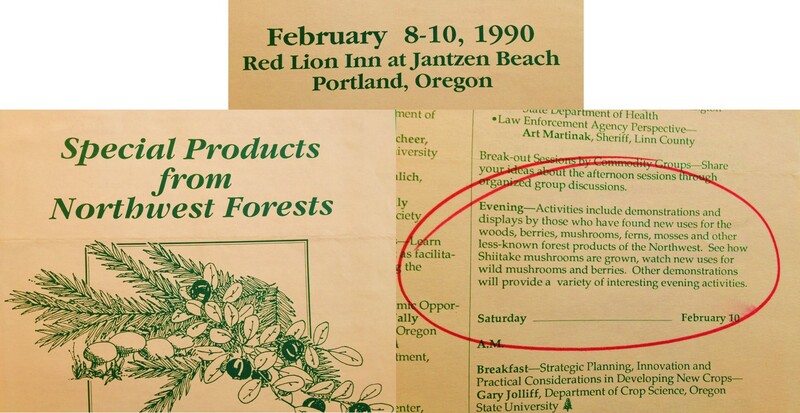 Resulted in later initiation of secondary natural products industries by Oregon’s Forestry Department. PLANTAE. Summarized chemical/ethnobotanical/natural products data for Monocots and Dicots–12 Sub-Classes, 60 Orders, 250 Families, ca. 2500 genera of ca. 12,500 plant spp. ca. 160pp. Constantly revised: 1985-8, 1990, 1991-2002. Plant Chemotaxonomy Research Reports, University sponsored research, with presentations at: Oregon Academy of Sciences, Annual meetings; Portland State University Seminars and Lectures; Summer Lecture series; Friday Lecture Series. 1987-1994. A study of benzylisoquinoline alkaloid and coumarin content in Ranales, Menispermales, Cruciferales and Xanthophyllaceae with focus on Oregon species and herbal medicines. A study of coumarin, alkaloid and phenol content of Podophyllum peltatum, Vancouveria hexandra and Achlys triphylla (FAM: Berberidaceae). A study of chemotherapeutic epipodophyllotoxins in local Berberidaceae: podophylloideae—Achlys (Vanilla Leaf), and Pinales: Cupressaceae–Calocedrus (Incense Cedar). The evolution and development of Selective Toxins in Land Plants. 1991-1995. Lab and Field work, University sponsored,. Focused on molecular pathways of substances associated with nucleic acid, cell membrane and cytoplasm- protein interaction (i.e. tannins/phenolics, phytosterols, dianthrones, lectins, some protease enzymes). The Evolution of Seed Oils. A review of the production of simple and complex Short-chain, Medium-chain, and Long-chain Fatty Acids by flora around the world. (ca. 30 classes identified and evolutionarily drawn out, from C6:0 to C36:4, used for development of HEAR vs. LEAR (Canola/TM) Oil industry). 1988-1990. The Evolution and Differentiation of Coumarins and Neolignans. 1987-1994. Reviewed six genera of Ranales plants (incl. Local Vancouveria, Achlys, and Podophyllum allies) for these compounds; analyzed potential cytotoxicity/chemotherapeutic value. The Evolution and Differentiation of Benzylisoquinoline Alkaloids. 1987-1994. Reviewed ca. 40 families of plants for BIQs; TLCs and 2-D PCs used to define chromatographic signatures for given species; OTC products compared with freshly gathered specimens; seasonal comparisons made; shelf-half-lives of BIQs in popular OTCs noted. Cancer drugs Research Report: Another unexploited potentially chemotherapeutic substance: Thalictrine alkaloids in a local Thalictrum species. 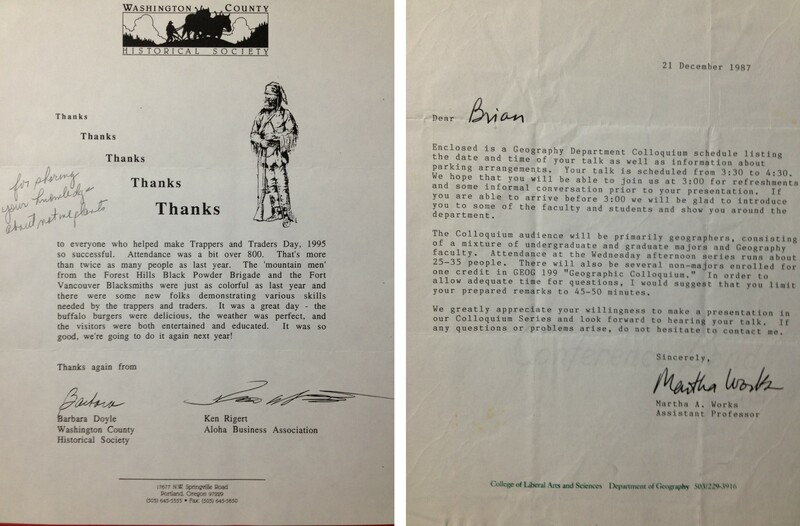 University sponsored, Spring 1994. Cancer drugs Research Report: Desoxypodophyllin–an unexploited chemotherapeutic substance in the local Calocedrus inner bark. University sponsored, Spring 1994. Are Older People (>65) using herbal supplements at High Risk for Complications? 2000-2001. Diagnosis, Treatment, and Prevention of Prostate Cancer: A Short-term Watchful Waiting Program, and Long Term Nutrition Based Prevention Program. 60 pp: 12pp main text, 21 figs, 70 ref, appendix with Healthy People 2000 objectives. IRB and Grant Proposal written. February to March 2002. Media and Popular Press Coverage of Tryptophan Nutritional Supplements, 1970 to Present. (for Media and Public Health, PHE 580, Prof. Judy Sobel). (33 pp text., 7 pp 89 ref., 7 figs, 3 tables embedded in text). 2002. Statistical Evaluation of Herbal Medicine articles published in the Medical Literature, 1975-2001. (Lectureship materials: 12 pp, 35 figures). 2000. Evaluation of Historical Medical Journal Articles published on the Native American “New World Syndrome” (NWS), ca. 1880-present. (“Athlete’s Heart,” Obesity, Heart Disease, Diabetes, Gall Bladder Disease, Pancreatitis). 1998. Plant-Derived Nutritional Supplements and Sports Medicine. 1991, 1998-1999. Popular herbal/nutritional supplements were reviewed in relation to use and possible interactions with common sports medicine prescriptions. Consultant for the Development of Ethnobotany/Medical Anthropology Department Specialty, Thomas Love, Linfield College, Lane, Or. December 1988 to March 1990. 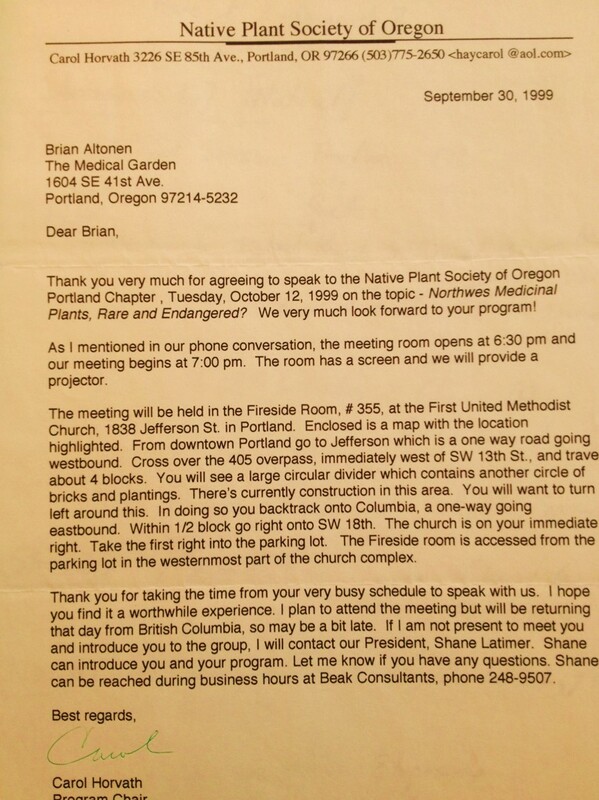 Consultant for the Development of early Plant Bioengineering course at PSU, 1990. Specialist on “The Bioengineering of Foods.” A 60 min. hosted news show produced by KATU. Portland, OR, Sundays, 6-7 pm. February 1989. A syndrome mimicking Addison’s Disease due to the use of non-deglycyrrhizinated Licorice Root, OHSU, 1989.
Review of a Chinese Medicine containing a possible anti-cancer (tumor supression) protein. Oregon Graduate School in the Sciences and Engineering, Beaverton, OR. 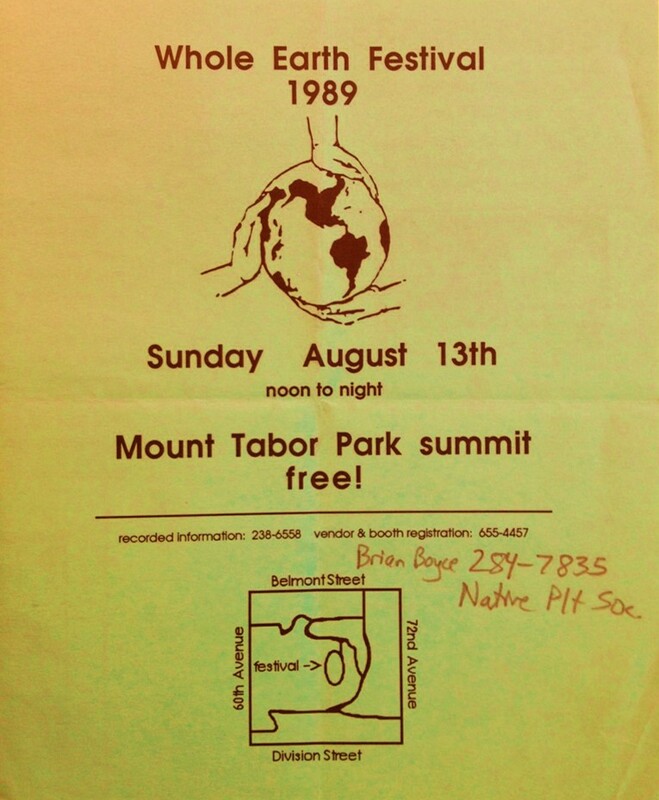 Summer 1992. Adulteration of yellow spices (esp. tumeric) by a UV-reactive dye: a TLC study. 1991.
Review of local Tryptophan product associated with famous OTC tryptophan poisoning cases (tested for heavy metal found in inner lining paint for shipping containers, i.e. Vanadium; actual cause was unideintified, bioengineering induced diphenylalanine derivative). Medical Geography articles published in medical journals, 1750 to 1950. Adobe Writer/Publisher project. 1996-1999. Statistical Evaluation of published Herbal Medicine articles in the Medical Literature, 1975-present. 2000, 2001. A Statistical analyses of medical geography articles found in The Index-Catalogue of the Library of the Surgeon General’s Office, 1876-1898, Serial Sets 1 and 2 (ca. 64 volumes). Oregon Health Sciences University Library. 1995-2000. A Review of New York Colonial documents for medical history research. (Includes The Jesuit relations and allied documents. . . 1610-1791. Reuben Gold Thwaites (ed. ).New York, Pageant Book Co., 1959), (73 vols); Edmund Bailey O’Callaghan’s The Documentary History of the State of New York (4 vols.) and Documents Relating to the Colonial History of New York (15 vols), and Peter Force’s American Archives (9 vol.s)). Summary produced: 6 parts, ca. 1500 pp. 1990-1994. Historical American Censuses (pre-1855 censuses and population statistics); Review of Mortality, Illness categorization, and Physicians Information. Early Americana (pre-1850 family, domestic and professional medical books), with specific focus on medicine in the Province and State of New York. Dr. Cornelius Osborn (1720-1782) and his Vade Mecum. (A 1759 manuscript written by a Dutchess County physician, 86 pp. ; print outs incl. photographs, transcript, and edited typescript). 1988-1993. 2 vols: 173 pp vade mecum with introduction, 300 pp. Materia Medica. Original MS owned by Adriance Memorial Library, Poughkeepsie, NY. A Transcription of Manuscripts penned by Oregon Trail physician John Kennedy Bristow (1814-1893). Incl. Ledger (400 pp) and Vade Mecum (105 pp.) OHS Library, 1993-1995, MSS 1040. A Review of Early American Medical Texts, with emphasis on New York history. New York Academy of Medicine Library, Rare Book (Malloch) Room, NYC, 1989-1994. Integrative Medicine Interests of College Students. 4-page questionnaire given annually to students attending my chemistry classes, 47 questions. 1983 to 2001. Integrative Medical Practices by Older Adults. A physicians survey card (7 questions, bulk mailing). 2001. Integrating Self-Help with Health-Related Programs. Individuals over 55 years of age surveyed regarding nutritional supplements and various self-help programs. 2001, 2002. Religious Attitudes: Kass’s INSPIRIT; Spiritual Experience Index; Spiritual Support and Openness Scales; Allport-Ross I/E Scale; Hood’s Mystical Questionnaire. 1999, 2000. What is your Dosha? (a dietary practices survey) 1999. Planning a Healthy Community for an Urban/Suburban Area. Combined Empathetic Resonance and Mutual Affection Scales into single questionnaire. Used as part of study on Hispanic-Afro-American communities in Harlem. 1998. Local Historian in Trapping and Oregon Trail Medicine; Taxol and the Yew Tree research was initiated by the second event. Self-Help Wellness Programs for Senior Citizens. Met with individuals over 55 years of age regarding the use of nutritional and herbal supplements, and participation in a variety of local self-help programs. 2001, 2002. The Role of Religion in Promoting Well-Being and Improving Health. A “New thought” Christian/Buddhist metaphysical church study. Interviewed pastor and members; ethnographic writing. 1999, 2000. EROS related campus-wide BC/pregnancy-related floor-sponsored talks and meetings in student dorms. Role Playing. Sponsored by University Health Services/Infirmary. Epilepsy Neurosurgery Special Interest Group, 1986-1992. Determinants of the Spatial Distribution of Lyme Disease in Oregon. $15,000. Internal Grant (College of Urban Studies). Rewarded. Diagnosis, Treatment, and Prevention of Prostate Cancer: Short-term Watchful Waiting and Long Term Nutrition Prevention. Internal Grant (College of Urban Studies). INSTITUTIONAL REVIEW BOARD PROPOSALS for: Leukemia projects–CDC/NIH and local proposals; Prostate Cancer project–institutional, local proposal; Aging population/herbal supplement project; researching a church based support group; Lyme Disease CDC and local agencies. 1999. GRANTS for ADA individuals: funding for purchase of assisted learning device; funding for purchase of self-publishing computer programs; funding for purchase of new van with wheelchair modifications; funding for support of personal business venture; funding for development of new education grant. A Guide to Researching Oregon Trail Medicine. (Bibliography). 1994. Oregon Natural Resources—a collection of professional documents and private papers. (ca. 750 pp., 200 items. ), OHSU, 1995-2000. Alternative Medicine in Oregon work. Incl. an 1850-1990 statistical review of medical professions; local alternative medical school donations. OHS. 1995. A review of the holdings of Medical Journals published prior to 1900 and the OHSU Library Collections, History of Medicine writings. 1993. A review of the holdings of Medical Journals published prior to 1900 and the National College of Naturopathic Medicine Library holdings. 1993. The “Mind” in Mindbody. A review of the history of biomedicine and alternative medicine mind-body philosophy and related disciplines. Religious, Metaphysical and Biomedical Paradigms, from The Great Sympathetic Nerve theory (L17th and 18th C) to the current psychoneuroimmunological theory and related subtle energy, quantum theory and religious paradigms. 2002. Epilepsy: A Historical, Cross-Cultural Study (epilepsy as a cultural-bound syndrome). 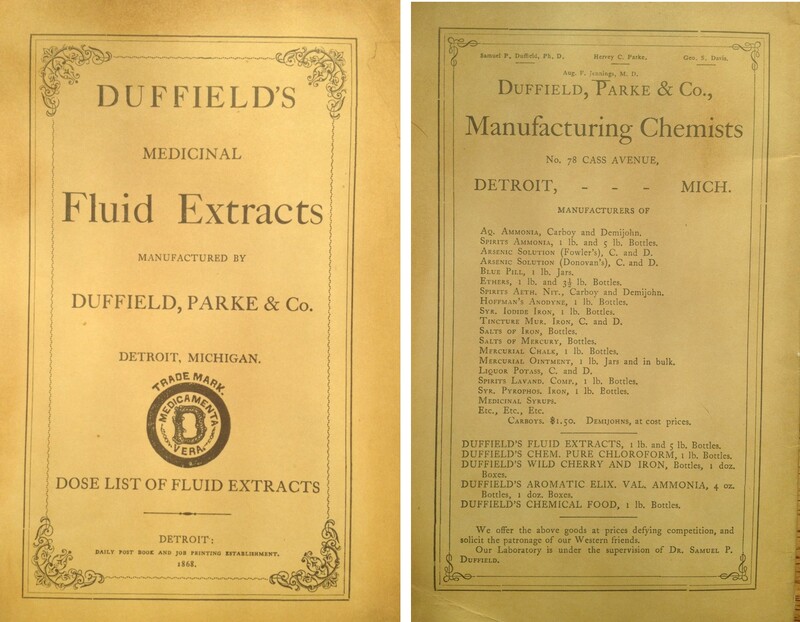 Medline and Index Catalogue (1887-1903) publications. 1985-2001. A GIS Study of SES and Leukemia Incidence. Toxic release inventory site location relative to case point data for leukemia victims. Supported by grant. Institutional review board [IRB] approved. 9/2001-present. A GIS study of Lyme Disease Ecology. Supported by grant. IRB approved. 3/2000-6/2001. The Role of the Religion in Promoting Well-Being and Better Health. A qualitative analysis/ethnographic study, with IRB, interviews, focus group. 1999-2001. Are Older People (>65) using herbal supplements at Higher Risk for Complications? Implemented an 8 pp. questionnaire “Integrative Medical Practices by Older Adults: A Study of Self-Help” and query mailing for physicians (7 question, folded 8.5×11 paper, card-sized prepaid return by mail). 2000-2001. Laotian/Hmong Immigrants: a study of physical and mental health issues and catastrophic stress disorders experienced by two refugee groups. Included PTSD, SUNDS, Mental Health issues, Tuberculosis; interviewed Church members from local Baptist Church, as well as community leaders, minister and a Laotian MSW worker; developed survey for Laotian and Hmong student populations (approx. 120 replied); carried out SPSS analysis; presented results. 1998-1999. A Systems Approach to Understanding Complementary/Alternative Medicine and Biomedicine. 1590 to present; differentiating physical from psychosocial/spiritual healing modalities, changes in Biomedical interpretations. 1992-1995, 1999 to 2001. Asthma in Native Americans. Final Report: 46pp, 145 ref, 3 tables, 27 figs. Dec. 5, 2001. 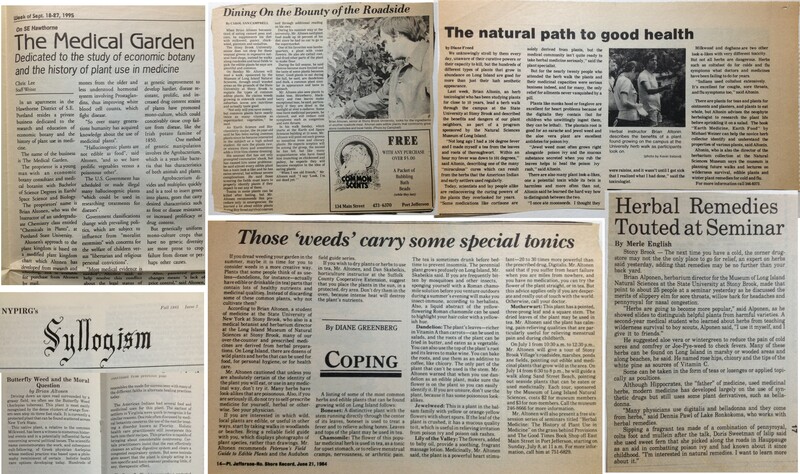 Media and Popular Press Coverage of Tryptophan Nutritional Supplements, 1970 to Present. Final Report: 33 pp text., 7 pp 89 ref., 7 figs, 3 tables embedded in text. March 2001. Obesity, Diabetes and Cardiovascular Disease in Native Americans: Modifying Cardiovascular Disease Risk. Final Report: 18 pp. 0 figures/tables, 79 ref. Dec 4, 2000. Healing Rituals. The Roles of Botanicals, Prayer, Touch, Guided Imagery, and Community. Final Report: Two papers, ca. 15 pp ea, July 26, 2000. Epilepsy and the Dominant Hemisphere—Possible Mechanisms for Seizure Development and Creativity. 1981-1982 (assisted Sally Springer), 1992. The Spatial Distribution of Homeless People in the Metropolitan Portland area. Analyses of locations of unofficial homeless camps erected relative to service agency locations; involved journal entries and GPSing campsites. ArcView GIS. Summer 1999. The “Mind” in Mindbody. The history of biomedicine and alternative medicine mind-body philosophy. From The Great Sympathetic Nerve theory (L17th C) to the current psychoneuroimmunological theory. 2002. A GIS Study of SES and Leukemia Incidence. Supported by grant. IRB approved. 9/2001-7/2002. Diagnosis, Treatment, and Prevention of Prostate Cancer: A Short-term Watchful Waiting Program, with Long Term Nutrition Based Prevention. 60 pp: 12pp main text, 21 figs, 70 ref, Included grantwriting and initial community support work. March 2002. A Respiratory Disease Program for Native Americans. PHE 576. Health Programs. (20pp, 52 ref, 8 figs/tables.) Dec. 5, 2001. Understanding Complementary/Alternative Medicine (CAM) and Biomedicine. Research on the history and development of CAM, 1590 to present. 2001. Lyme Disease Ecology. Supported by grant. IRB approved. 3/2000-6/2001. The Role of the Religion in Promoting Well-Being and Better Health. A qualitative analysis/ethnographic research project. 1999-2001. Are Older People (>65) using herbal supplements at High Risk for Complications? Identification of High Risk Groups for OTC Herbal Supplement Use. 2000, 2001. Healing Rituals. The Roles of Botanicals, Prayer, Touch, Guided Imagery, and Community. Group Project. Chapters: “Historical Overview of the MindBody Healing Concept in Medicine” (10pp) and “Prayer and Healing” (13 pp). July 26, 2000. Laotian/Hmong Students: a study of physical and mental health issues and catastrophic stress disorders experienced by two refugee groups. Focused on the role of family connections in preventing SUNDS and various psychiatric syndromes; developed survey for ca 60 Laotian and Hmong students; produced SPSS analysis; presented results. 1998-1999. Media and Popular Press Coverage of Tryptophan Nutritional Supplements, 1970 to Present. (33 pp text., 7 pp 89 ref., 7 figs, 3 tables embedded in text). Insights into the Mediterranean Diet and its Relationship to Academic Life. (A transtheoretical Analysis). Winter 1999. 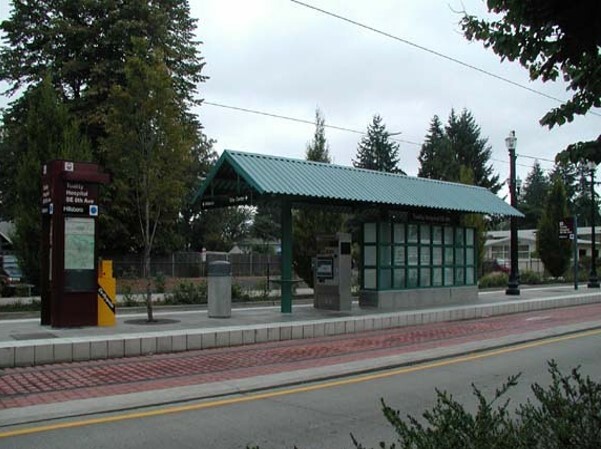 Development of LightRail station for Tuality Hospital stop, 1988-9; identified 20 of the most important plants in Pacific NW ethnobotany history: plant must demonstrate Native American, Historical Oregon Trail, and modern day medical importance. Glass panels contain etchings of these plants produced by a glazier artist. SMOKING BEHAVIOR PROGRAM. Does Smoking Behavior of Actresses on Screen Influence Adolescents? Assessed themes and underlying negative messages contained in 50 movies with female lead characters, including social environments, smoking behavior, body language-related tobacco messages, movie/actress reviews in popular teen magazines. January 2001. BLOOD PRESSURE CHANGES DUE TO EXERCISE & CAFFEINE 1998. LA Kaminsky, CA Martin, and MH Whaley. Formal review of topic: does caffeine consumption influence blood pressure response following caffeine ingestion, see J Sports Med. Phys. Fitness. 1998; 38:53-58. THE STATE IMMUNIZATION MONITORING PROGRAM– ALERT. Assessed validity, timeliness; developed and survey/survey method to measure activity, satisfaction and compliance; developed equation for measuring data completeness, accuracy and validity. Spring 2000. BITE 2000. A program on good eating habits targeted for low-income residents. Consisted of demographic study (population and health statistics, rent/income assessment, education, development of population pyramids), mapping, surveying, development of classroom schedule and content, Gantt diagram for income, staff/salary program; presentation. Jan-March 1998. THE BREAST AND CERVICAL CANCER SCREENING PROGRAMS. Assessed Censuses and Vital Stats Report for demographics and prevalence; employed SPSS and Excel for graphing/analysis; mapped results; publicly presented findings. Fall 1999. THE DEVELOPMENT OF A NEW MULTICULTURAL CENTER. Grantwriter/Program Designer. Projects and activities developed for campus-wide barbecue/information-based cultural awareness program, also assisted in the planning, fundraising and design of new campus building devoted to Native Americanism and multicultural activities (1996-1998). Includes RESEARCHING NATIVE AMERICAN HEALTH ISSUES. Presentation to Northwest Regional conference for American Indian Science and Engineering Society (AISES), March 7, 1998. 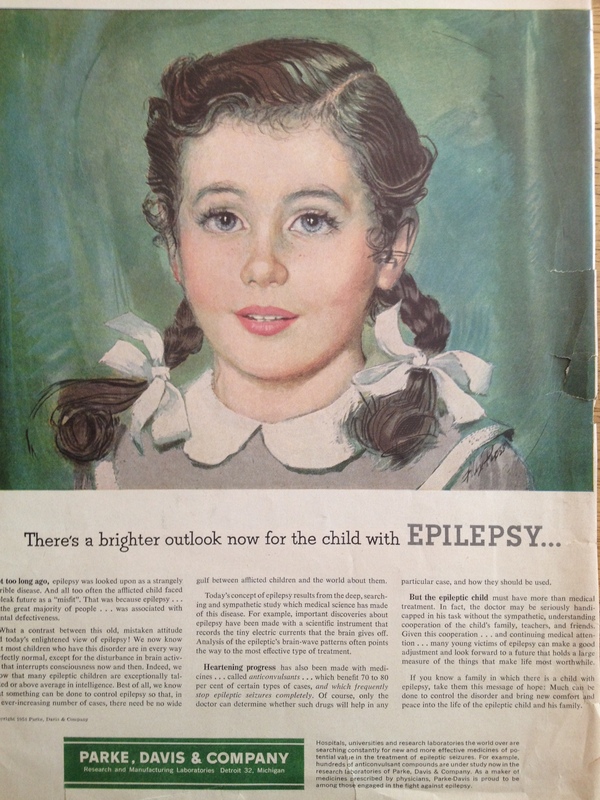 EPILEPSY EDUCATION. Interpretations of Epilepsy as a Socially-defined, Cultural-Bound Syndrome. Developed program (3 one hour classes) for epilepsy support group and related npos; reviewed global stats, incidence and the impact of public perception on personal health; improved family/friend support activities; developing personal health and career-related education and work goals. 1997-8. With Epilepsy: A Historical, Cross-Cultural Study (a review of epilepsy as a cultural-bound syndrome). 1985-1999.